Shipping to outer islands continue to operate despite the weight restriction which sources say have been delayed.Photo:Vilimoni Vaganalau. Weight restrictions placed on the Mua-i-Walu Jetty that upset ship owners recently will fully come into effect on January 10, sources at the jetty have been told. 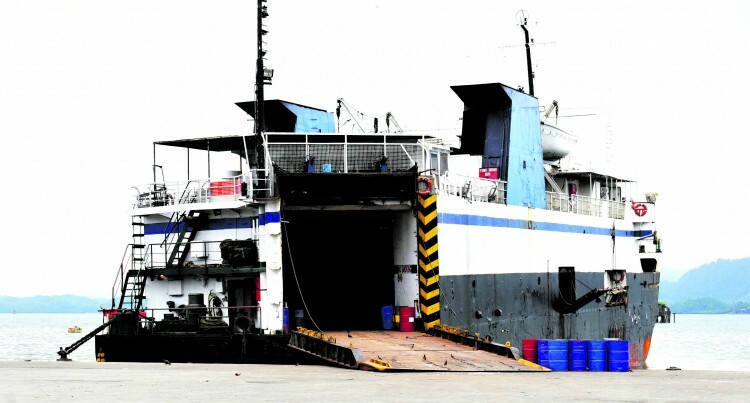 It was business as usual on Friday for ships operating out of the jetty despite the restriction imposed by the Fiji Ports Corporation Limited (FPCL) on a section of the wharf. The news will come as a relief for ship owners, who expect a rush of people returning to the main island after the holiday season. Two days after the port authority instructed ship operators to find alternate loading locations, Goundar Shipping Limited’s Lomaiviti Princess V continued its service of the Suva to Vanua Levu route. School teachers will return to work on the same date and the decision was seemingly made to accommodate their travel plans. The Acting Permanent Secretary of Infrastructure and Transport David Kolitagane acted as a mediator between the ship service owners and the FPCL in a closed-door meeting after the two butted heads over a ship delay issue. “I want to assure the public that Government is looking into the situation of overcrowding at jetties,” Mr Kolitagane said. The authority’s weight bearing restriction, placed after recommendation from engineers, of five tonnes per square metre upset ship owners on Thursday. Many operators depend on transporting heavy cargo to the maritime islands on roll-on/roll-off vessels as a source of vital income. Managing Director of Goundar Shipping, George Goundar said the memo, which the Fiji Sun also acquired, was received a day after a war of words erupted between the ship service owners and FPCL. FPCL chief executive Vajira Piyasena had accused ship owners for not following schedules, which led to Mr Goundar questioning the authority’s handling of operations at the wharf.